Think Germany and almost instantly you think of beer, Autobahn or modern towns running with clockwork precision. That's the image we carried too throughout our college days in the country. 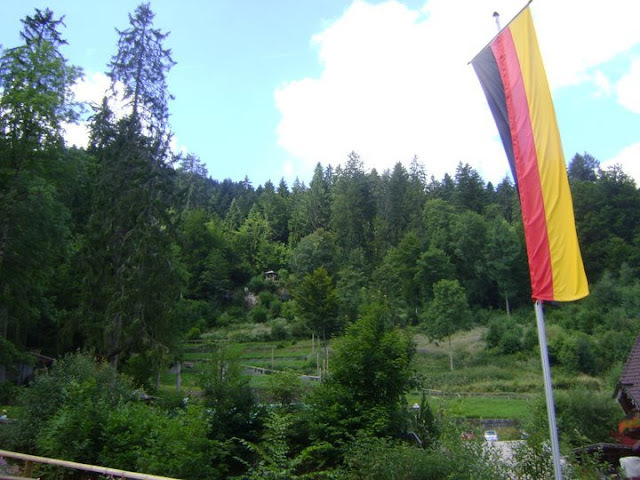 But one vacation revealed an absolutely new Germany to all of us. We decided to take a detour from the usual tourist map and chanced upon this unruffled side of the otherwise 'stickler for time' European nation. The state of Baden-Württemberg, home to the famous Black Forest, is a naturally gifted area with pristine valleys, waterfalls, rivers, rolling hills, mystical dark forests and amazing food and wine options. 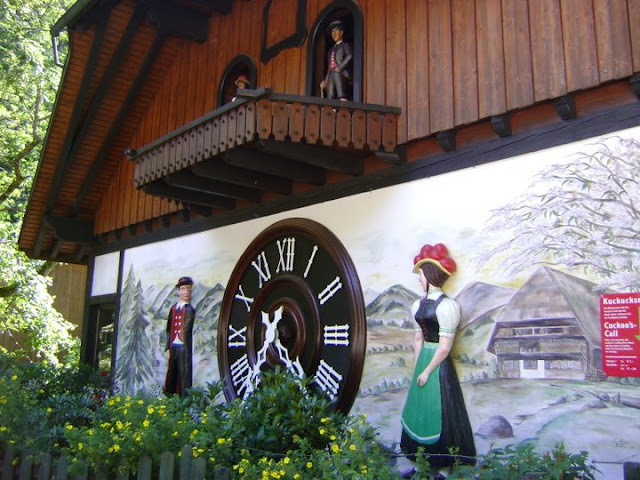 To begin with, we were excited about the prospect of visiting the place where the Grimm Brothers fairy tales such as Hansel and Gretel, The Singing Springing Lark and Snow White, originated. But the three-day tour down the region showed us way more than we could have ever anticipated. DON'T MISS: Navigate the region by car or trains from the two prominent towns ­ Baden-Baden or Freiburg. Both journeys offer amazing views. What's a vacation with out a beauty fix! 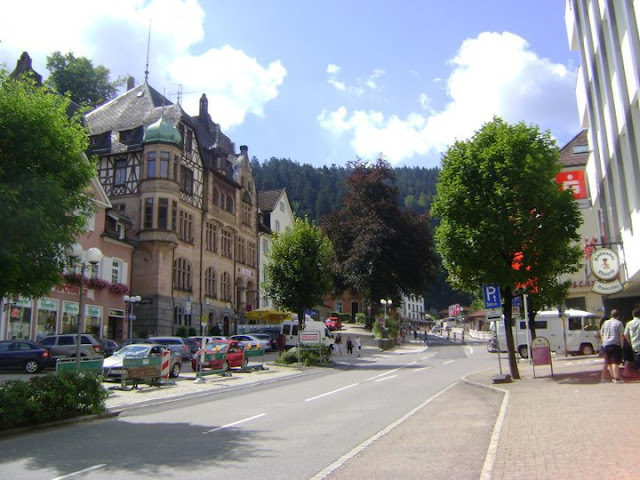 Baden Baden, a quaint and elegant spa town on the foothills of Black Forest -lined with spas and wellness hotels -is a perfect pit stop for that. Legend says Romans stumbled upon the healing abilities of thermal springs here and built their own thermal baths.The celebrated Friedrichsbad and Caracalla baths with pools and sauna cabins among the pines are best way to live the Roman experience. A word of caution though! You need to be in nothing more than your skin at most of these baths. So, many women travellers wait for `Ladies Only' days at the baths. Others like us choose to enjoy the elegant cafes lining the streets and admire the street art and culture scene. 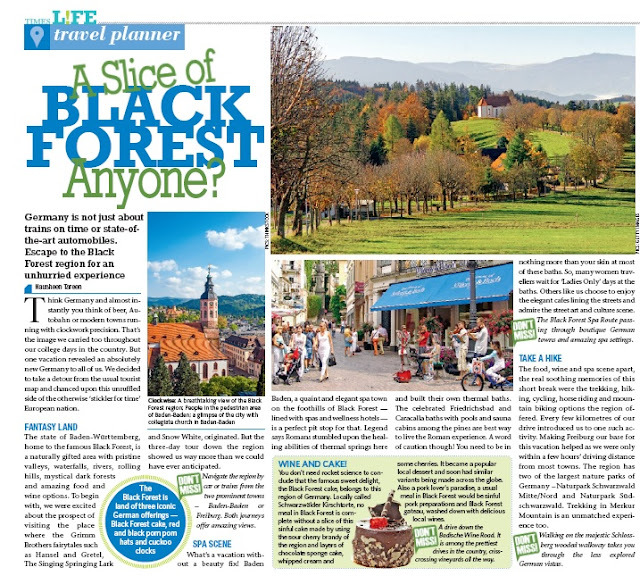 DON'T MISS: The Black Forest Spa Route passing through boutique German towns and amazing spa settings. Elegant cafes lining the streets are a great way to admire the food and culture scene. The food, wine and spa scene apart, the real soothing memories of this short break were the trekking, hiking, cycling, horse riding and mountain biking options the region offered. Every few kilometres of our drive introduced us to one such activity. Making Freiburg our base for this vacation helped as we were only within a few hours' driving distance from most towns. 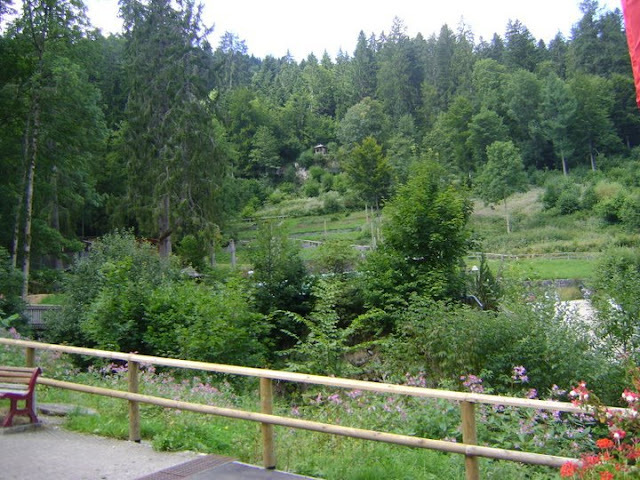 The region has two of the largest nature parks of Germany ­ Naturpark Schwarzwald MitteNord and Naturpark Südschwarzwald. Trekking in Merkur Mountain is an unmatched experience too. DON'T MISS: Walking on the majestic Schlossberg wooded walkway takes you through the less explored German vistas. You don't need rocket science to conclude that the famous sweet delight, the Black Forest cake, belongs to this region of Germany. 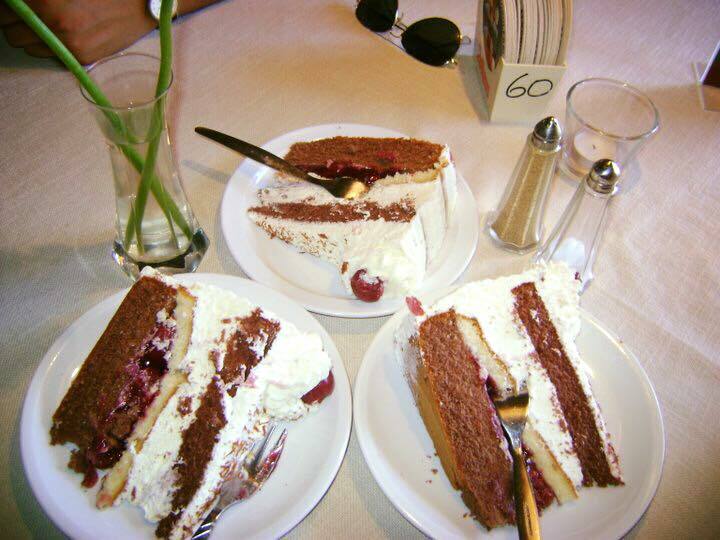 Locally called Schwarzwälder Kirschtorte, no meal in Black Forest is complete without a slice of this sinful cake made by using the sour cherry brandy of the region and layers of chocolate sponge cake, whipped cream and some cherries. It became a popular local dessert and soon had similar variants being made across the globe. Also a pork lover's paradise, a usual meal in Black Forest would be sinful pork preparations and Black Forest gateau, washed down with delicious local wines. DON'T MISS: A drive down the Badische Wine Road. It is among the prettiest drives in the country, crisscrossing vineyards all the way. 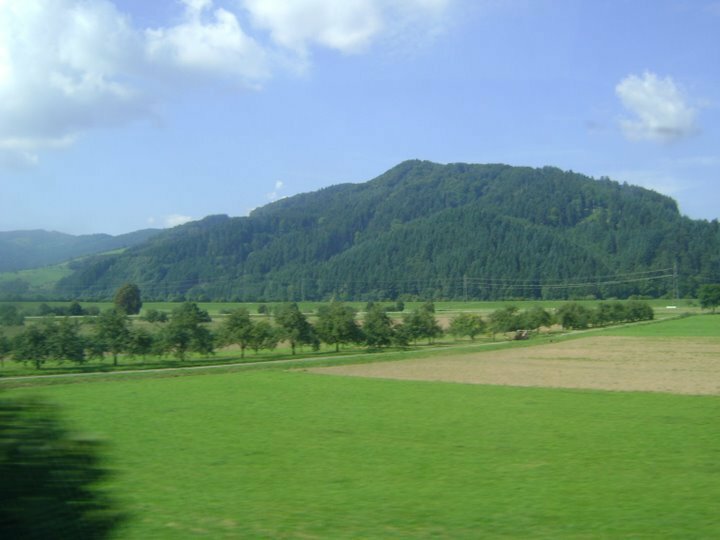 Base yourself at either of two prominent towns - Baden-Baden or Freiburg. 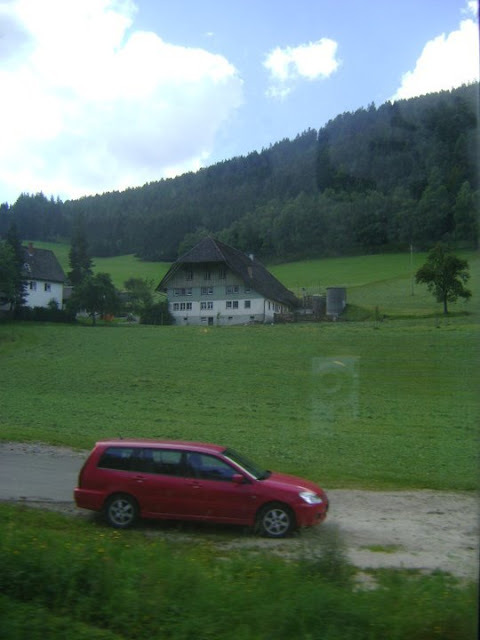 You can explore the region from car or train from there. Both journeys offer amazing views. 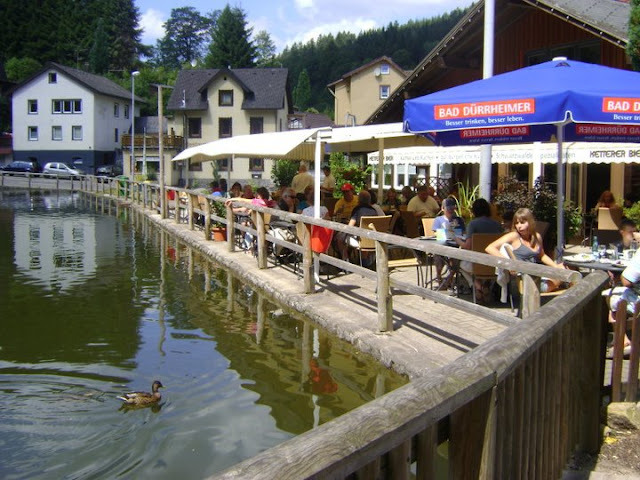 Summers in Black Forest region mean outdoor swimming in one of the many beautiful lakes - Silver Lake, Lake Titisee, Lake Schluchsee.